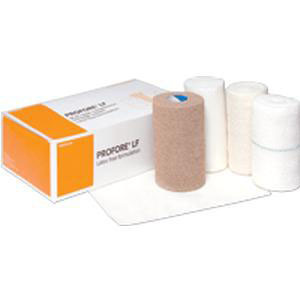 Smith & Nephew Profore® LF Multi-layer compression bandaging system is indicated for the management of venous leg ulcers and associated conditions. Its Latex-free formulation allows the healthcare provider to use it with confidence on allergy-sensitive patients. It is used on ankle circumference greater than 7-1/4 inches padded.